I’ve been kicking around the idea of redesigning my homepage and blog, though I’m not sure I really have the free time to do it. To start, I thought I would to put down a few thoughts about applying usability principles when designing blogs. When you starting thinking about usability it’s temping to jump right into lists of principles and rules of thumb. It’s a little silly applying Fitt’s Law when you haven’t even established what you want your site to accomplish in the first place. So what, generally, do you want your blog to do? If you’re creating or redesigning a blog for a company, the goal set may be very different. Below are some examples that don’t actually apply in my case. Many projects don’t even get this far before the graphic designers and web developers are already making mock-ups, but we still have one more important step to do. We know why you’re building a blog, but why are users coming to it? 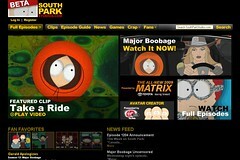 Usability and design aren’t just concerns for web developers. 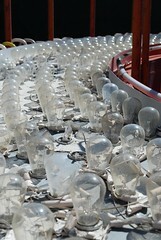 They can make a real impact in the use and usefulness of physical products as well. Warning labels are a great example – you can’t buy anything these days without some kind of warning label, and they are visual design elements intended to convey important information to buyers and users. I ran into two great examples in the course of packing up and clearing out our house. Example number one is from a big plastic storage tub. It’s a great example of both usability and design, though the actual message might seem a bit silly. 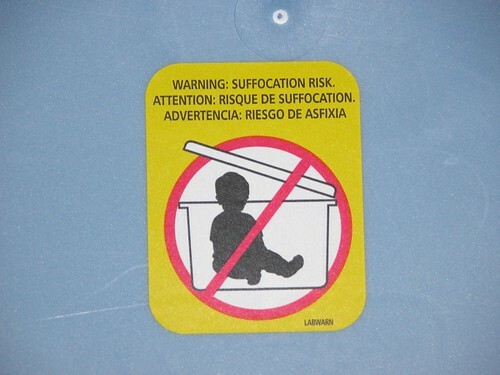 Do people really need to be warned not to seal their children inside airtight containers? The second example is… well, strange and off-putting. We might laugh at the thought of tupperwared toddlers but fireworks obviously pose some danger. 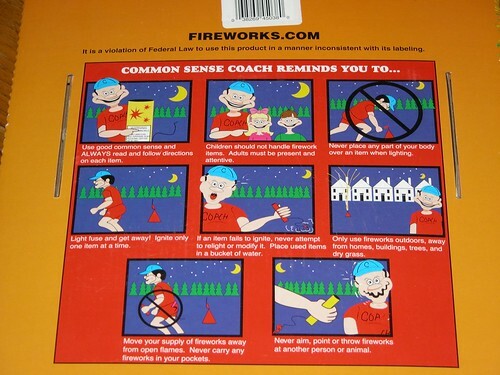 This series of warning messages from the back of a box of fireworks is, well… take a look for yourself. I recommend clicking on the image to zoom in in Flickr. So what could have been improved from a design standpoint? For one thing, it would help if the coach and the two children in the second panel weren’t wearing what appears to be ghoulish, grimacing deathmasks. They look like a cross between some misguided ventriloquist’s dummy and the clown that haunts the nightmares of every five-year-old child. Cartoons caricatures can be very effective in warnings because we can remove unneeded visual detail to focus on what’s important and because people are accustomed to following short narratives in the style of comic strips. But not if they are so ugly. What are the usability problems? Let’s start at the top. The phrase “Common sense coach reminds you to…” isn’t quite as clear and gripping as “Warning: suffocation risk” in the first example. The idea of using cartoons to illustrate each point is good, but the actual illustrations miss the point. Without the text, do you think you could figure out the meaning of each of these? For more examples of how usability and information design impact the real world, see The Design of Everyday Things by Don Norman.